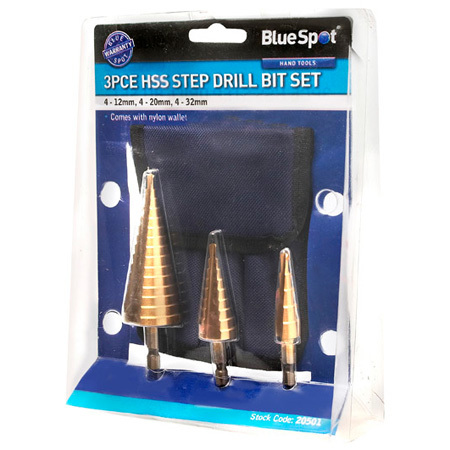 Bergen Tools 3pc HSS step drill bit set. 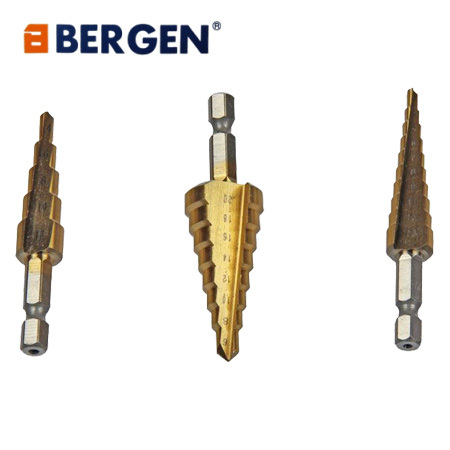 These bits are professionally manufactured and are ideal for drilling holes into thin materials such as stainless steel, copper, brass, aluminium, plastic and laminates. Single flute cutting edge for greater control through the step. The step drills are titanium coated and have a hex shank, which prevents slipping in your drill chuck. The new speed point tip penetrates fast and prevents walking.